How can a homeowner keep their windows looking cleaner, longer? What results can I expect with a low pressure house wash? 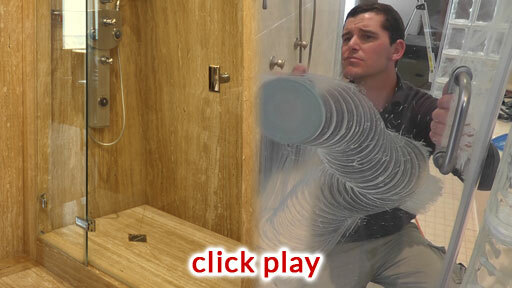 Click to see how your glass shower door panes can sparkle like new! If you are seeing this, there is a problem with the video. Stained glass is a common sight in the Frederick area. The reason is that many water sources are "hard", meaning there are minerals in the water - which accumulate into ugly deposits on your glass. Shower doors are a prime example of this: after years of hard water spraying on the glass, your shower enclosure can start to look scaly and milky - ruining the attractiveness of your whole bathroom! Instead of contemplating an expensive replacement of your glass shower doors or other windows, have them restored! Cyclone is equipped and trained to remove those stains using professional polishing compounds and state of the art equipment - specially designed to bring your glass back to it's sparkling best! We also seal the glass when we're done, so that the stains don't come back so fast. 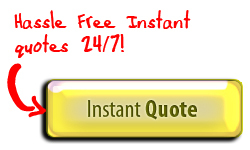 Get your INSTANT, ON-LINE QUOTE now! Frederick, Clarksburg, Adamstown, Brunswick, Boyds, Buckeystown, Damascus, Dickerson, Green Valley, Hyattstown, Ijamsville, Knoxville, Linganore, Lisbon, Middletown, Monrovia, Mt Airy, Myersville, New Market, Point of Rocks, Poolesville, Thurmont, Urbana, Walkersville, Woodbine. © 2018 - Cyclone Cleaning Services, LLC. All rights reserved.